Catch it until July 28 at Bonifacio High Street. 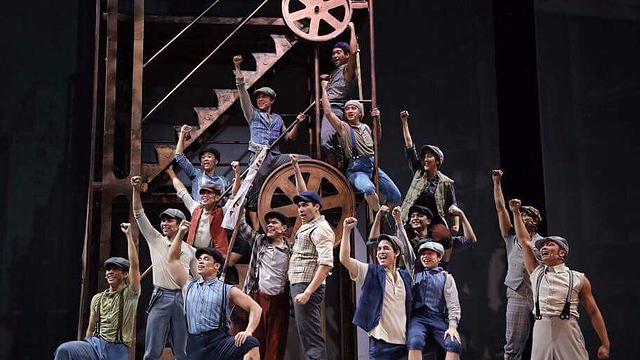 (SPOT.ph) The Broadway musical Newsies is finally being staged in Manila and we can't stop raving about it. 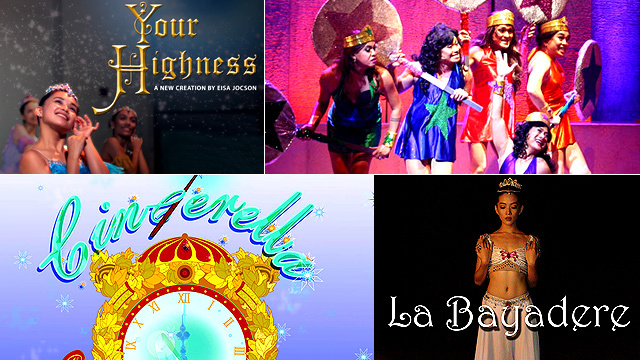 It’s mounted by 9 Works Theatrical and Globe Live at Bonifacio High Street Amphitheater and runs until July 30. Based on the real-life Newsboys’ Strike of 1899 in New York City, it was made into a movie starring Christian Bale in 1992, then adapted to a stage musical headlined by Jeremy Jordan in 2011. This Broadway musical won the Tony Awards for Best Choreography and Best Original Score. When the big newspaper publishers, led by Joseph Pulitzer, decided to raise the prices, the newsies (newspaper boys) decided to unite and demand for better treatment for laborers—even without a union. Who doesn’t love anything from Disney, right? 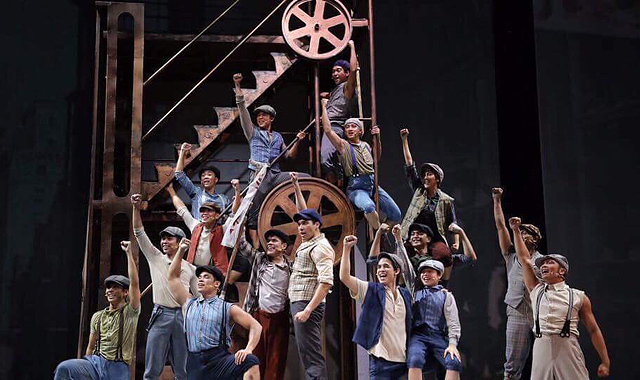 Joe Caliro of Globe Live said that it was the mass media and entertainment company that offered to stage the musical in the Philippines when they were scouting our theater venues. It transports us to New York at the end of the 19th Century. Though the Globe Iconic Store is an open-air venue, you'll still feel like you're in an indoor theater complete with lights and sounds. 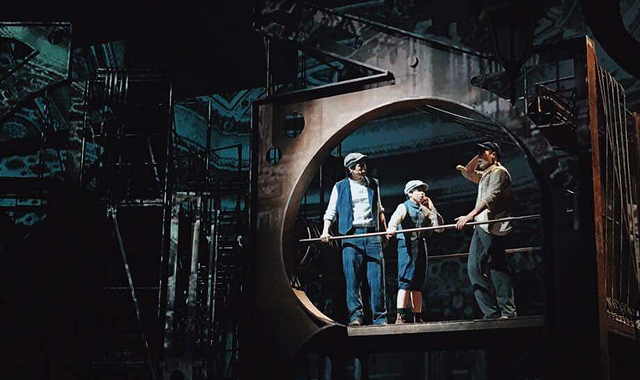 It's easy to get captured and captivated by the musical onstage. 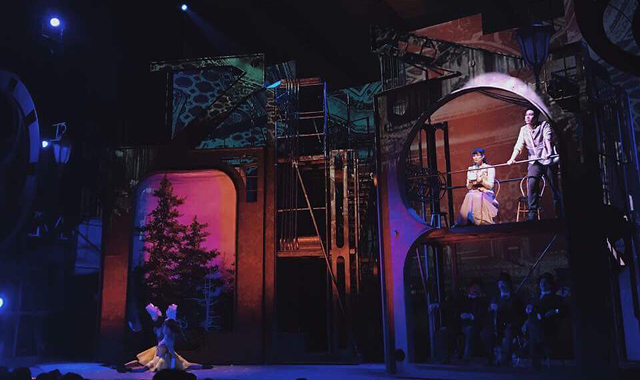 The set is so impressive that sometimes, it appears like there is a wall of people moving and singing in unison. 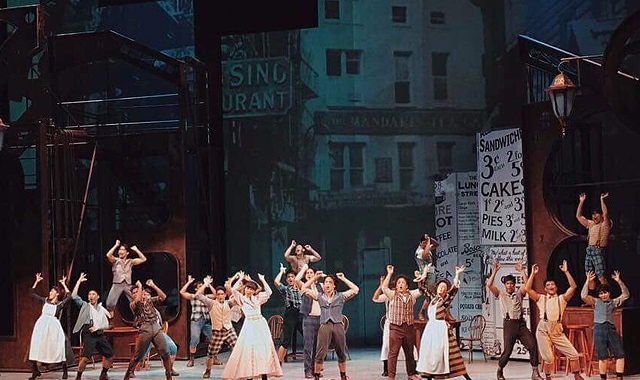 Fresh from his stint as a performer in Hong Kong Disneyland and Universal Studios Osaka, Gian dove right into rehearsals as Jack Kelly. And through his amazing performance, he proves that he is definitely back! 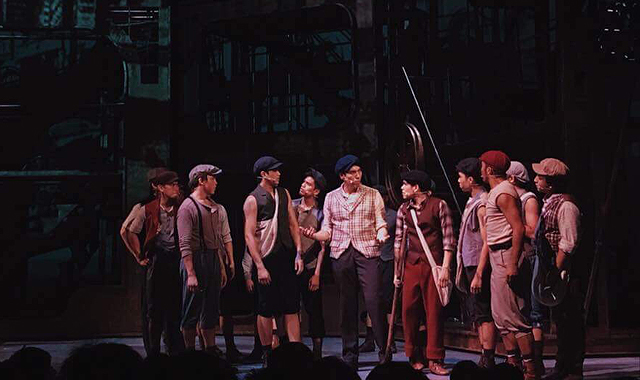 Indignant and sincere, Gian as Jack moves his fellow newsies—and members of the audience—to fight for their rights and what is right. Now that’s a lesson we can all learn from. The song “Seize the Day” is especially memorable—we dare you not to keep humming it as you leave the venue. It's the kind of song with a melody that stays with you for a while and a message that resonates with different kinds of people. Speaking of music, the songs are penned by the award-winning composer, and so, no wonder they feel so familiar. "Carrying the Banner" and "King of New York" are particularly catchy. The cast members were trained to be "triple threats" through the theater company's Training Ground, a six-week boot camp where they learned ballet, gymnastics, tap dance, singing, acting, and more. You'll see the results of their hard work when the ensemble flies and moves across the stage in hypnoptic and energetic dance numbers. The choreography is truly a visual delight. Everyone loves the underdog, especially when they sock it to the Big Man. This story proves that people united to defend what is right will succeed in the end. They don’t only make a cute couple, but Gian and Danielle have great chemistry as romance brews between their characters. Newsies reminds us that there was a time when publishers, writers, editors, illustrators, and even newspaper boys were significant in delivering the news. This ecosystem was too integral in the society that it took a newsboys' strike to paralyze a whole city. Imagine how powerful media can be when used the right way.